February marked the fourth straight deceleration of the country’s housing price index, an early sign of cooling housing markets across the country, despite a 4.4 per cent increase over the same period last year. 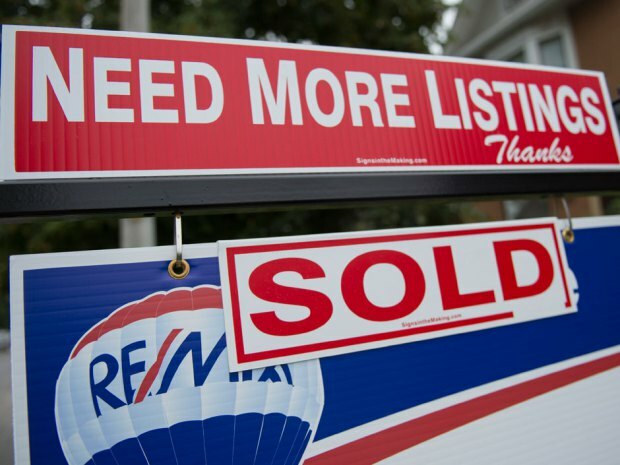 The February housing price index (HPI), which measures the change in price for resale single-family homes, rose 7.3 per cent in Toronto over the year, 5.7 per cent in Vancouver and eight per cent in Hamilton. Surprisingly, though, Calgary also posted a 5.6 per cent year-over-year rise in HPI last month, likely a result of the Bank of Canada’s decision to lower the overnight rate in January – a move it hoped would prop up the market in Calgary, which many thought would falter in light of sliding oil values. Compared to January, however, Calgary’s HPI was down 0.3 per cent, marking its fourth straight decline. That decline, compounded by month-over-month decreases of 0.1 per cent in Toronto, 0.8 per cent in Edmonton, 2.1 per cent in Ottawa-Gatineau, and one per cent in Winnipeg, pulled down the national HPI, though it still managed to rise 0.1 per cent over January. Vancouver, Victoria and Hamilton posted a 1.5 per cent, a 0.5 per cent and a 0.3 per cent month-over-month increase, respectively. Still, the modest month-over-month growth in just three cities further points to cooling markets across the country. “However, prices rose in only three of the 11 metropolitan markets surveyed, even fewer than the five markets that showed gains in January,” Teranet-National Bank said. “In some markets there have clearly been corrections in progress.